Happy Friday everyone! 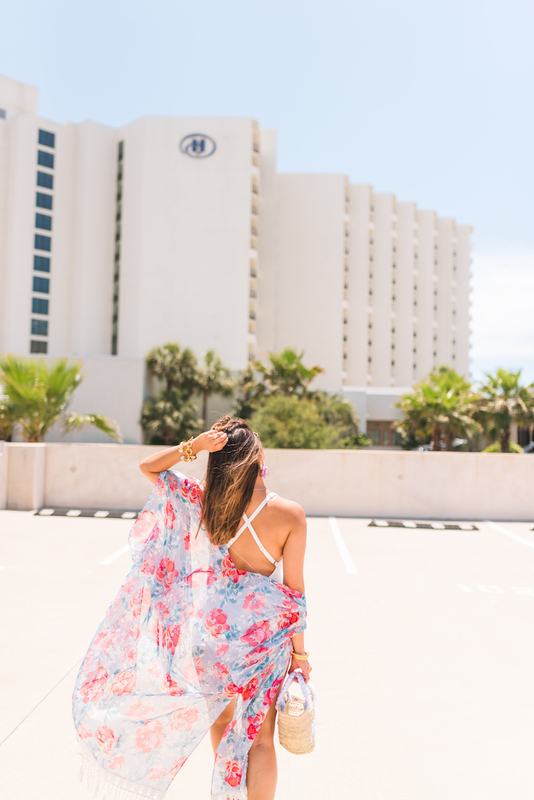 Today I’m sharing my Hilton San Destin travel recap along with a colorful swimsuit round up that I know you’re going to love! 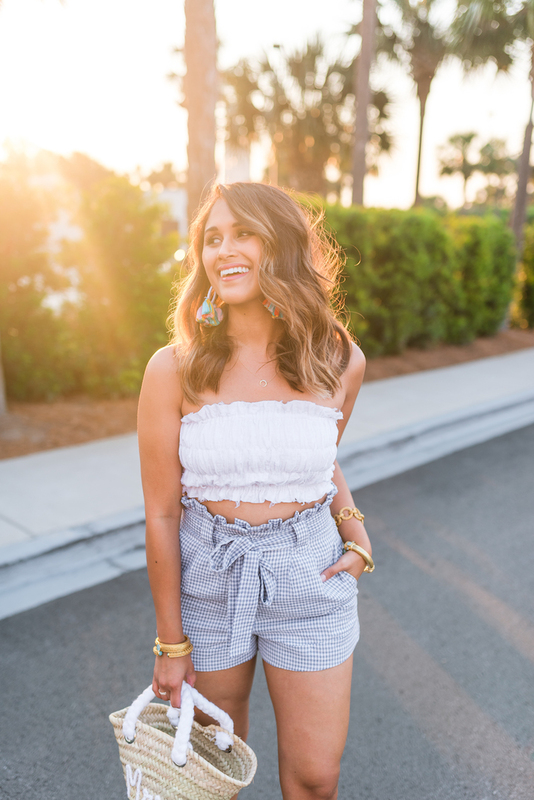 Scroll through this post to check out all of my outfits from the trip along with my recommendations! 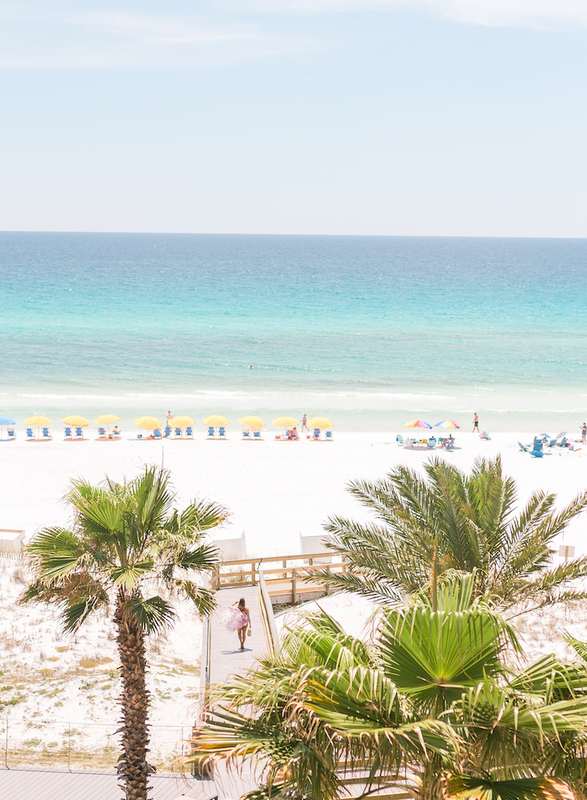 The Hilton San Destin is only about a 4.5 hour drive from my house so we threw on some comfy road trip clothes, packed the car with snacks and headed straight for the beach. 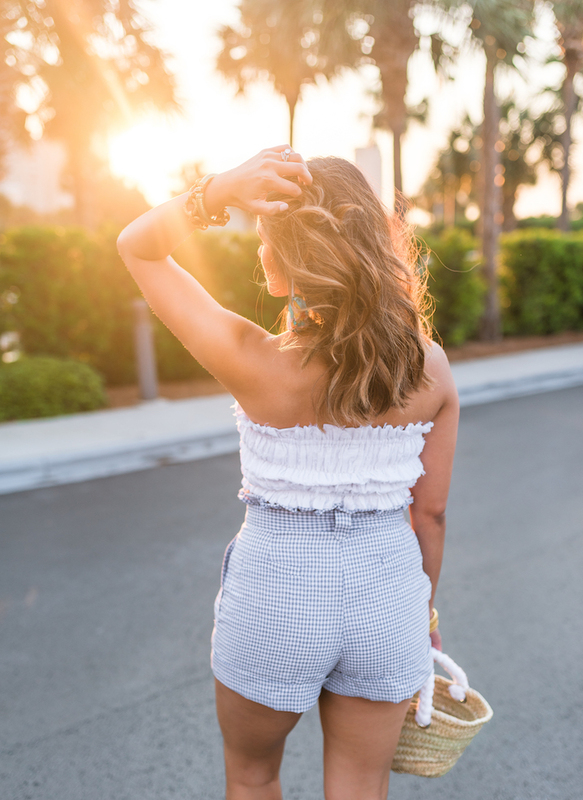 We lucked out with four days of beautiful sunny weather and even got to enjoy the perfect view of the beach and boardwalk from the balcony in our room! 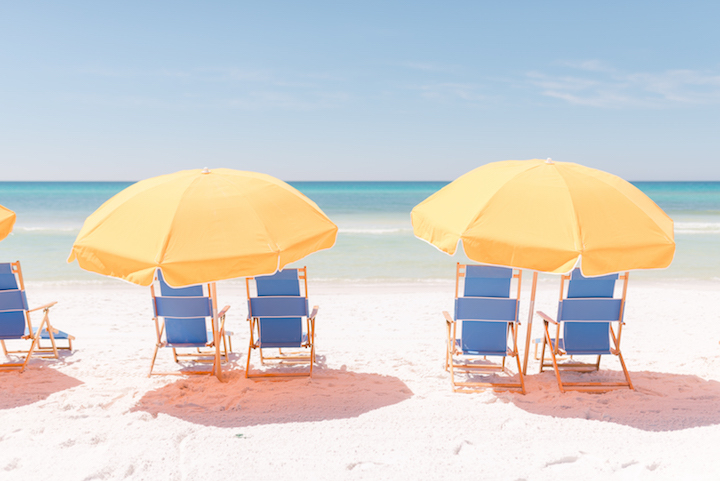 The Hilton San Destin offers beach chairs and umbrellas for their guests along with a full service bar on the beach! You can also order food from the beach bar or head up to Barefoot’s Beachside Bar and Grill or Picnix Poolside Market for lunch. For dinner, we mostly dined at the Sandcastles Lounge and the Hadashi Sushi Bar near the lobby of the hotel, which was absolutely delicious. 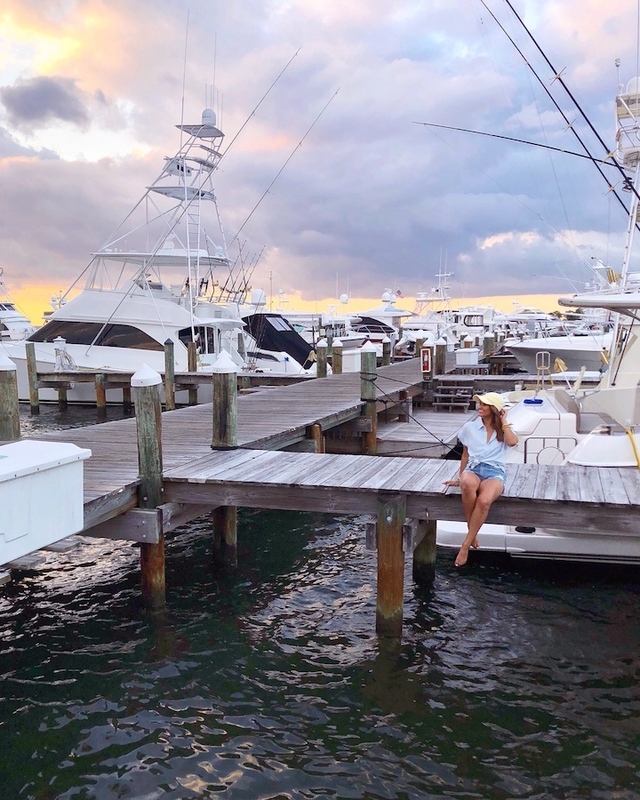 One of the nights we drove to the Baytown for sunset at the Marina and dinner in the village of Baytowne Wharf. 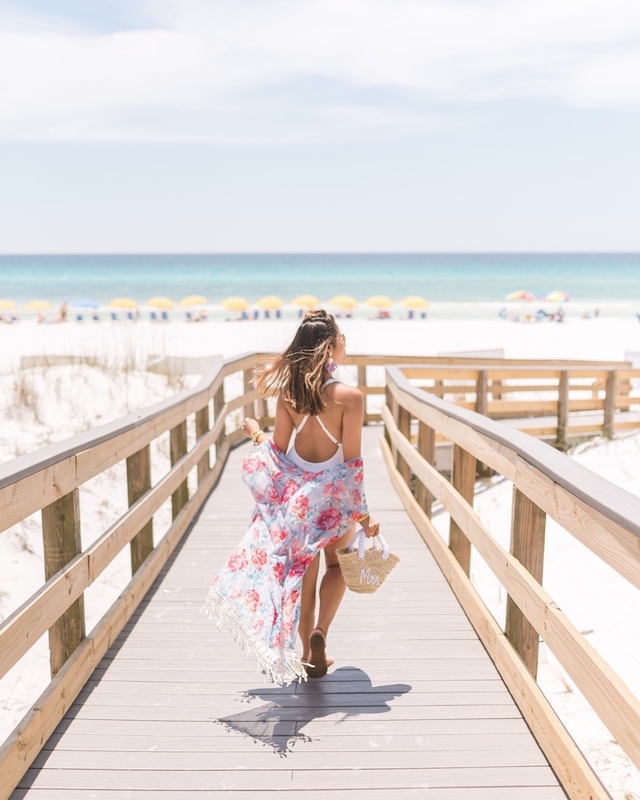 It’s only a 10 minute drive from the Hilton San Destin and a fun place to go out for drinks, shop and eat lunch or dinner. Thank you to the Hilton San Destin for hosting us. All opinions and selections here are my own. Thank you for supporting the affiliate posts who make this blog possible.